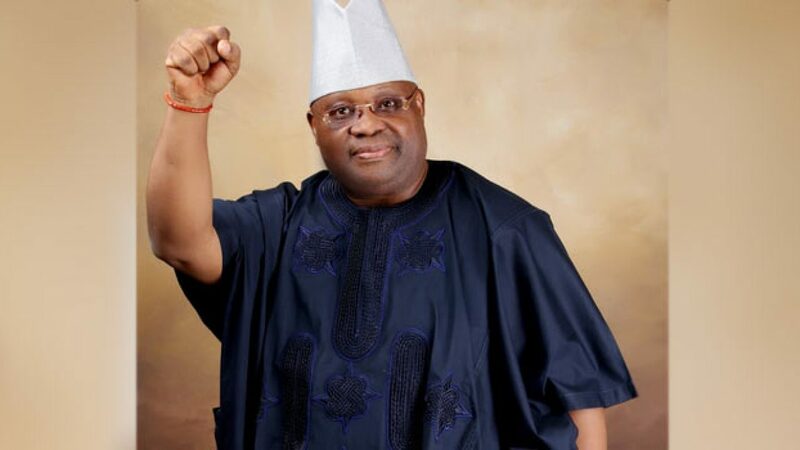 The Osun State Governorship Election Petition Tribunal sitting in Abuja has declared Ademola Adeleke as winner of the September 2018 election in the state and ordered the Independent National Electoral Commission to issue him with the certificate of return. In a split decision, two of the three-man tribunal upheld the petitions filed by the candidate of the Peoples Democratic Party (PDP), Ademola Adeleke and the PDP, challenging the victory of the All Progressives Congress (APC) and Governor Gboyega Oyetola at the September 2018 governorship election. The Chairman of the tribunal differed from the two and upheld Oyetola’s election. PDP and Adeleke asked the tribunal to declare that he polled the highest lawful votes and should be declared the winner. The tribunal’s majority verdict also held that the supplementary election by INEC in seven cancelled units on Sept. 22,2018, was null and void. The tribunal had earlier dismissed the objections of the APC and Oyetola. It said Adeleke’s petition has merit. The two-man majority also declared the rerun election as illegal. Delivering the‎ ruling, Chairman Ibrahim Sirajo, held that the objections were misconceived and struck them out.